The Peugeot Vivacity 3 features a new storage compartment at the front of the bike. Peugeot's 50cc 2-stroke Vivacity 3 scooter has been given a complete overhaul for 2008, to become a mini-GT scooter. The French firm upgraded the Vivacity after a survey of urban scooter riders showed that what they would most like from a small urban scooter was storage capacity, design, and value. The scooter boasts an overall storage capacity of 35 litres. With 22 litres under the seat and 13 litres located at the front of the machine, where the headlight should be. The vivacity also boasts a 12v socket, so you can charge electrical items while on the move! 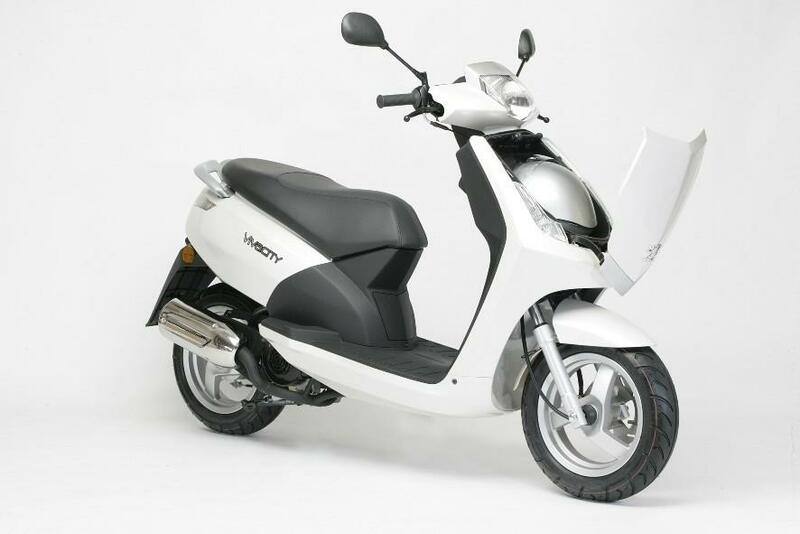 The scooter will be priced at £1,199 OTR, with the colour choice of pearly black, or red cherry.